Business meeting rooms are frequently utilized by many businesses. Whether you are seeking one for a one off occasion or a regular meeting, one thing is for certain; you need to carefully plan in order to find the perfect venue for you. The venue you choose plays an integral role in determining the success of the conference. It needs to maintain an air of professionalism, provide comfort, and have all of the facilities you require to carry out any presentations you are planning on giving. 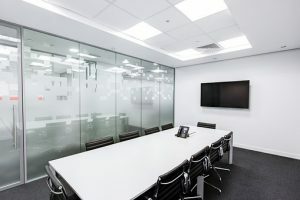 If you use the following five tips then you should have a good structure in place to find the ideal meeting room for the event you are hosting. 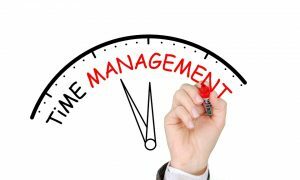 A lot of people make the mistake of thinking that because there are lots of business meeting rooms situated around the UK they will have no trouble booking one last minute. However, the reason there are so many rooms is simply because there are hundreds of meetings going on each and every day. Furthermore, if you want to benefit from a top quality meeting room then you can bet your bottom dollar these will be snapped up quick. And don’t forget; as demand rises, price does too. You should book early to avoid any extortionate costs. As touched upon in the introduction, you need to make sure the venue can supply you with all of the resources and facilities you require for your meeting. If not then you will need to bring these along with you. Make a list of all of the things you need – a projector, a white board, a computer, the internet, white board pens, and so on and so forth. You will need a presentation software with an intuitive nature, and you need to ensure this can be projected using the facilities there. Most good meeting venues will be able to provide you with most of what you need. Nonetheless it is crucial to determine this beforehand in order to avoid any disasters during the day of your business meeting. A huge mistake people make is underestimating the amount of time they need the room for. There is nothing worse than being in the middle of your meeting and having people crowded outside waiting to use the room after you. You need to add a decent amount of time onto how long you think your meeting will run for – even if you don’t use all of this. Remember you will need time to set up and take everything down. And you never know how long the event may drag on for either. A lot of people accidentally forget about the fact that their business associates need to drink and eat. It is not until they hear someone’s belly rumbling that they realize they have made a mistake. You will need to make sure ample refreshments are available. Some of the best meeting room venues also boast various catering options too. This is highly recommended as it gives off a really good impression. If you are entertaining important business clients then you can earn some brownie points by providing some delicious treats. And finally, there’s nothing wrong with double checking. You should always ring the venue two or three days before you are due to use the meeting room. Simply confirm everything is in hand and that they are expecting you. This avoids any major upheavals.